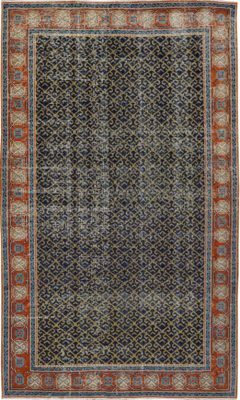 Originally woven around the Zagros Mountains of western Persian (Iran) by the Lurs, these rugs represent the beautiful art of Persian carpet weaving. Usually depicting geometric designs with animal motifs and geometric figures, they often contain rich combinations of colors such as red, blue, green and yellow. 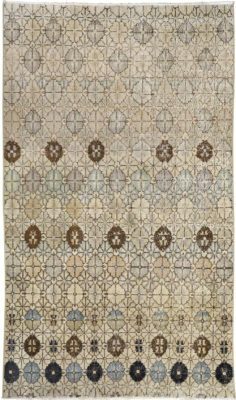 These unique tribal rugs are exciting with their rich and jewel tone colors. 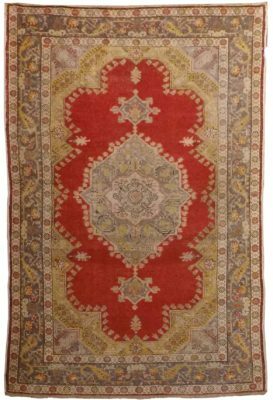 This rug is approximately 80 to 100 years old. 100% wool on cotton foundation. 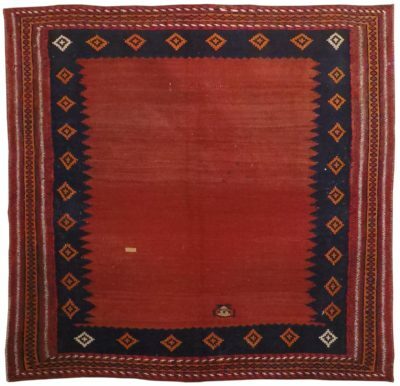 The word Sofra is an ancient Arabic word, translating to dinner table, picnic or kilim. It lends itself well to generosity and hospitality. 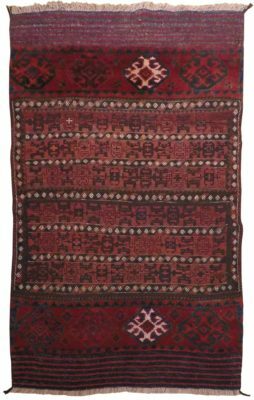 The square or rectangular and colorful flat tapestry rugs have been woven for thousands of years in Turkey, serving multiple roles in the household. 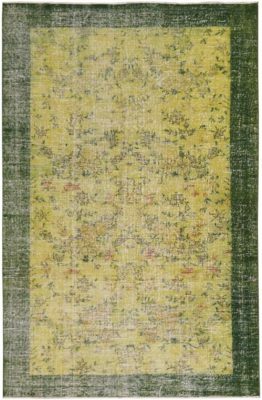 Often used in village homes where people sit on their floors and enjoy meals, this rug is versatile as a decorative floor covering or wall hanging. 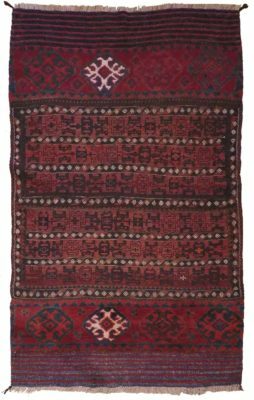 This particular Sofra rug is approximately 85-100 years old. 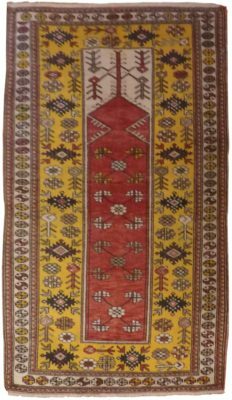 Named after the district of Milas in southwestern Turkey, the design is made by the Turkmen, thus has a nomadic quality and woven with the inspiration of original 16th century prayer rugs. 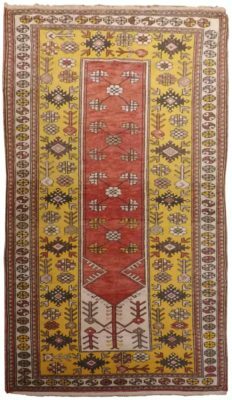 Browns, reddish browns and dark yellow are distinctive colors of the Milas carpet. Made with 100% wool and natural dyes from sources such as peach, apricot and walnut trees. Milas have become popular and fashionable both in an outside of Turkey. 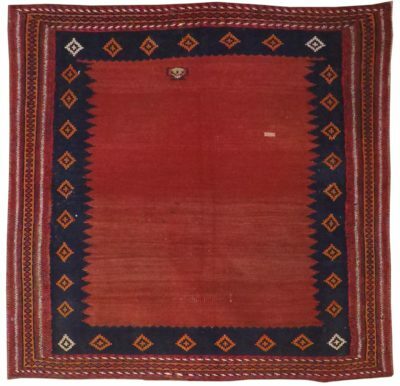 This particular rug is approximately 60-80 years old.